Leukemia is cancer of the white blood cells. White blood cells help your body fight infection. Your blood cells form in your bone marrow. 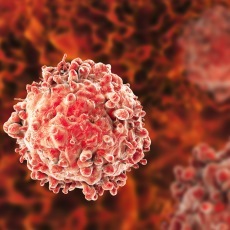 In leukemia, the bone marrow produces abnormal white blood cells. These cells crowd out the healthy blood cells, making it hard for blood to do its work. In chronic myeloid leukemia (CML), there are too many granulocytes, a type of white blood cell. Article: Development of a Potent Protein Degrader against Oncogenic BCR-ABL Protein.